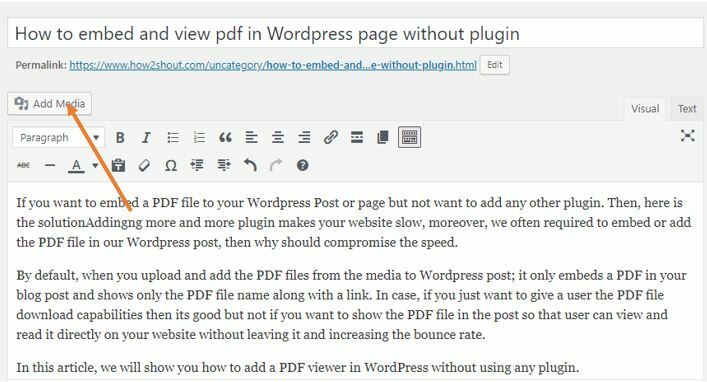 If you want to embed a PDF file in WordPress Post or page but not want to add any other plugin. Then, here is the solution. 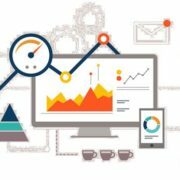 Adding more and more plugins makes your website slow, however, we often required to embed or add the PDF file in our WordPress post, then why should, we compromise the speed. 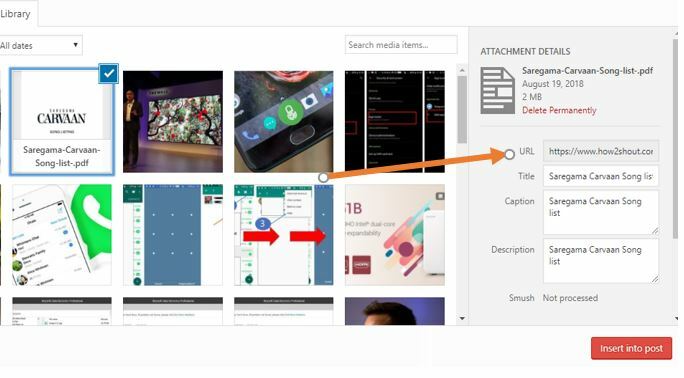 By default, when you upload and add the PDF files from the Media section to WordPress post; it only embeds a PDF in your blog post and shows only the PDF file name along with a link. In case, if you just want to give a user the PDF file download capabilities then it is good but not if you want to show the PDF file in the post so that user can view and read it directly on your website without leaving it; that also decrease the bounce rate. In this article, we will show you how to add a PDF viewer in WordPress without using any PDF embedder WordPress plugin. Directly adding WordPress PDF Viewer is just like embedding the audio or video files, for example, YouTube. Go to WordPress post where you want to add the PDF file to view. Now click on the Add Media button. Click on the Upload files Tab. Now again click on the Select file button to upload the PDF file. Select and upload your PDF file to WordPress media gallery. Once it uploads, come back to your blog post. Where you want to add the PDF file viewer click there and after that just click on the TEXT tab given on the right top side of your text editor. Inside the text editor just place the following code. Now click on the Add media, select the PDF file and copy its URL given on the right side. After copying the URL, just replace the https://ww.example.com/demo.pdf with your own pdf file. You can also increase or decrease the size of embedded pdf file by altering the value of Width and height attributes given in the code. Once you replaced the URL you will see you have successfully added the embedded PDF file viewer on WordPress post without any external plugin. Step 1: Go to Media and Upload the PDF file. Step 2: After uploading, just copy the URL of the PDF file and replace the: https://ww.example.com/demo.pdf in above give code with your own PDF file URL and that’s it; you are done!! 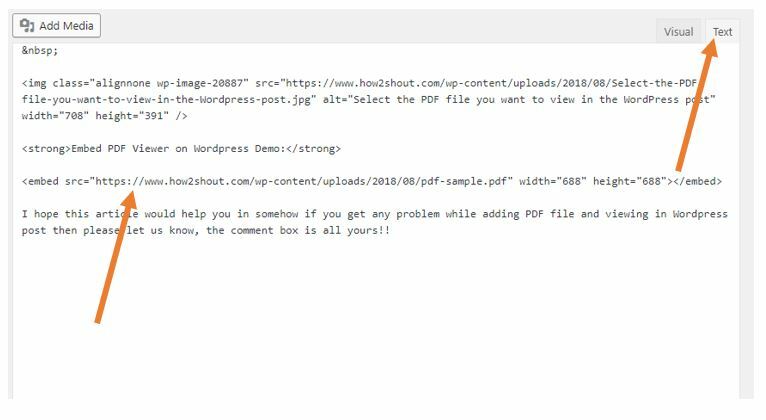 I hope this article would help you in somehow if you get any problem while adding PDF file and viewing in WordPress post then please let us know, the comment box is all yours!! I was able to follow each step, but when I preview or upload the code with my custom pdf url, it continues to display as a link, not an embedded pdf. Any insignt? 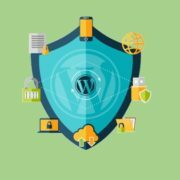 It might be possible some security plugin on your WordPress preventing the code from showing the PDF at frontend. If you have implemented the above correctly then please disable the installed plugins for a moment and then again test the above code. Thanks but if use tag “embed” don’t show on IE. Thank you for this tutorial – very helpful! Is there a way to change the dark grey background color to something else?